Authors: Remini H., Dahmoune F., Sahraoui Y., Madani K., Kapranov V.N., Kiselev E.F. Since Neolithic era, natural pigments have been added to foods and colour of food products is still one of the major concerns of food industry. Anthocyanins are the most noticeable group among coloured flavonoids, widely existing in the roots, stems and leaves as well as flowers and fruits of the vascular plants. They have a high potential for use as natural colorants instead of synthetic pigments because of their attractive colour and pharmacological properties. Stable and attractive colours are a highly valued attribute in competitive food industry. Considerable studies have been done on the effects of the most important chemical and physical factors involved in the stability of anthocyanins (temperature, light, pH, SO2, metal, sugar, ascorbic acid and oxygen), their concentrations, chemical structures, and matrix food compositions. Furthermore, the effects of separation technologies including microwave/ultrasound assisted extraction (MAE, UAE), and Colloidal Gaz Aphron (CGA) fractionation on the stability of anthocyanins are reviewed. anthocyanins, stability, ascorbic acid, MAE, UAE, CGA. INTRODUCTION The study of natural colorants is an extensive and active area of investigation due to the growing interest of substituting synthetic colorants with toxic effects in humans . Anthocyanins are natural pigments present in fruits and vegetables and widely distributed in nature. They are pigments brilliant responsible for shiny orange, pink, red, violet and blue colours in roots, stems, flowers and fruit of many plants (e.g., orchids, grapes) . Incorporating anthocyanins as food colorants is not only valuable for improving overall appearance but also very beneficial to health . However, research on regulation of anthocyanins biosynthesis under in vitro conditions is still limited, restricting the commercial application of their production by plant cell cultures . Anthocyanins are differentiated from one another by the number and position of hydroxyl and/or methyl groups and by the nature, number, position and acylation of the sugars present in their structure. Due to this enormous variety, there are reports of more than 550 antho- cyanins and 23 anthocyanidins, of which only 6 are frequently found distributed in nature and in foods: cyanidin (50%), delphinidin, pelargonidin and peonidin (12%) and petunidin and malvidin (7%) . Anthocyanins are highly unstable and very susceptible to degradation. The colour stability of anthocyanins is affected by several factors such as pH, their own chemical structure, concentration, storage temperature, light, oxygen, ascorbic acid, moisture content, and the presence of enzymes, flavonoids, proteins and metal ions . But also, the technologies employed as well as microwave and ultrasound extraction, solvent extraction, and micellar encapsulation influence strongly the stability of anthocyanins. During the last six decades, general interest and research activities focusing on anthocyanins have considerably increased. This increased interest is not only based on knowledge that these pigments can be used as possible alternatives to artificial food colorants, and it relates to their bioactive properties, but also it relates to their stability, extraction and purification. When searching the Web-of-science database in the title- field for the word anthocyanin, 5,763 articles were found. The last two decades show an increased interest in anthocyanins studies, mainly because of their potential health- promoting properties and their use as natural food colorants, as well as their appearance in cultivars and plant mutants with new colours and shapes. 1800 1600 1400 1200 1000 800 600 400 200 0 18 22 26 67 231 222 240 275 377 480 926 1540 1339 Fig. 1. Records in the literature search within the database Web of Science giving the numbers of articles containing the word ‘anthocyanins’ in the period 1950-2014 ANTHOCYANIN CHEMISTRY Some of phenolic compounds are directly related to colours in plants, and in particular anthocyanidins are natural pigments present as anthocyanins in plant tissues in glycoside forms with a C6-C3-C6 skeleton . Anthocyanins are part of the plant-derived flavonoid compounds and are responsible for colours ranging from pale pink to red to purple and deep blue . They are the largest group of water-soluble pigments widespread in the plant kingdom, these natural pigments are usually associated with red fruits but also occur in vegetables, roots, legumes and cereals . The variation of anthocyanins are due to: (i) the number and position of hydroxyl and methoxy groups on the basic anthocyanidin skeleton; (ii) the identity, number, and positions at which sugars are attached; and the extent of sugar acylation and the identity of the acylating agent . The structures of naturally occurring anthocyanidin a Table 1 The numbering of the structure on the left is used for all anthocyanins; The numbering for the pyranoanthocyanins is given in the structure on the right . Substitution Pattern ) 3 5 (6a)b 6 (7)b 7(8 b 3  4 5 Common anthocyanidins Pelargonidin (Pg) Cyanidin (Cy) Delphinidin (Dp) Peonidin (Pn) Petunidin (Pt) Malvidin (Mv) OH OH OH OH OH OH OH OH OH OH OH OH H H H H H H OH OH OH OH OH OH H H OH OMe OMe OMe OH OH OH OH OH OH H H OH H OH OMe Rare methylated anthocyanidins 5-MethylCy OH OMe H OH OH OH H 7-MethylPn (rosinidin) OH OH H OMe OMe OH H 5-MethylDp (pulchellidin) OH OMe H OH OH OH OH 5-MethylPt (europinidin) OH OMe H OH OMe OH OH 5-MethylMv (capensinidin) OH OMe H OH OMe OH OMe 7-MethylMv (hirsutidin) OH OH H OMe OMe OH OMe 6-Hydroxylated anthocyanidins 6-HydroxyPg OH OH OH OH H OH H 6-HydroxyCy OH OH OH OH OH OH H 6-HydroxyDp OH OH OH OH OH OH OH 3-Desoxyanthocyanidins Apigeninidin (Ap) H OH H OH H OH H Luteolinidin (Lt) H OH H OH OH OH H Tricetinidin (Tr) H OH H OH OH OH OH c 7-MelhylAp H OH H OMe H OH H c 5-MethylLt H OMe H OH OH OH H c 5-Methyl-6-hydroxyAp (carajurone) H OMe OH OH H OH H 5,4-Dimethyl-6-hydroxyAp (carajurin) H OMe OH OH H OMe H 5-MelhyI-6-hydroxyLtc H OMe OH OH OH OH H 5,4-Dimethyl-6-hydr c OH oxyLt OMe OH OH OH OMe H Riccionidin Ac,d OH H OH OH H OH H Pyranoanthocyanidins c 5-CarboxypyranoPg c,e 5-CarboxypyranoCy OH O- H OH H OH H OH O- H OH OH OH H a b c Sphagnorubins A-C from peat moss, Sphagnum, have not been included (Fig. 1). The numbers in parentheses correspond to the pyranoanthocyanidins. d New anthocyanidins (reported between 1992 and 2004). e Ring closure on the basis of ether linkage between the 3- and 6’-positions. Riccionidin A and its dimer, riccionidin B, have an additional OH-group in the 2’-position (Fig. 1). Rosacyanin B (Fig. 1). Chemically, these flavonoids naturally occur as glycosides of flavylium or 2-phenyl- benzopyrylium salts . The anthocyanidins consist basically of this structure with some hydroxyl groups through which sugar molecules are conjugated. The anthocyanidin refers to the molecule without the glycoside residue . The core of the anthocyanidin is a 15-carbon (C15) structure of two aromatic rings (the A and B rings) joined by a third ring of C3O1 (the C-ring; Table 1). The degree of oxidation of the C-ring defines the various flavonoid types. Anthocyanidins have two double bonds in the C-ring - and hence carry a positive charge . The sugar moieties vary but are commonly, glucose, rhamnose, galactose or arabi- nose. The sugar moiety may be a mono or disaccharide unit, and it may be acylated with a phenolic or aliphatic acid. These compounds differ in the methoxyl and hydroxyl substitution pattern of ring B . The 3-desoxyanthocyanidins, sphagnorubins and rosacyanin B are the only anthocyanidins found in their non-glycosylated form in plants. Nearly all reports on anthocyanins specifying the D or L configuration of the antho- cyanin sugar moieties (monosaccharides), lack experimental evidence for this type of assignments . Fig. 2. Some anthocyanidins with unusual structures: 522, riccionidin A; 526, rosacyanin B; 527-529, sphagnorubins A-C  Source and distribution of anthocyanins in foods In general, the anthocyanin concentration in most of the fruits and vegetables ranges from 0.1 to 1% dry weight (d.w.) , and the most widespread anthocyanidin in foods is cyanidin . Anthocyanins are dissolute in fruit and vegetable vacuolar juice (Table 2), mainly in mature epidermal cells (apple, apricot, artichoke, asparagus, eggplant, fig, red- lettuce, nectarine, red onion, peach, pear, plum, pomegranate, red-skinned potato, radish, etc. ), although they can also accumulate in flesh tissues . Average amount of anthocyanins in some foodstuffs  Table 2 Anthocyanin source Amount -1 -1 (mg.litre or mg.kg ) Blackberry 1 150 Blueberry 825-4 200 Boisenberry 1 609 Cherry 20-4 500 Chokeberry 5 060-10 000 Cranberry 600-2 000 Cowberry 1 000 Currant (black) 1 300-4000 Elderberry 2000-10 000 Red grapes 300-7 500 Blood orange 2 000 Plum 20-250 Sloe 1 600 Strawberry 150-350 Raspberry (black) 1 700-4 277 Eggplant 7 500 Onion up to 250 Rhubarb up to 2 000 Red cabbage 250 Red wine 240-350 Port wine 140-1 100 Acylation, Hydroxylation and Glycosylation The core anthocyanidin structure is modified by the addition of a wide range of chemical groups, in particular through hydroxylation, acylation and methylation. Hydroxylation and methylation usually, but not exclusively, occur on the anthocyanidin prior to further modifications. Thus, there are a small number of anthocyanidin types that have been identified as the basis of the subsequent large number of known antho- cyanins with differing glycosylation and acylation patterns, which include anthocy- anidins with additional rings incorporated, for example the pyranoanthocyanidins and riccionidin A (Table 1) . Presently, it is known that anthocyanins have some positions sensitive to react with different nucleophilic and electrophilic compounds (Fig. 3). Anthocyanins can undergo a nucleophilic attack in the positively charged carbons 2 and 4 of the pyranic ring (anthocyanin hydration in carbon 2 gives rise to the colourless hemiacetal form). Additionally, and despite its positive charge, anthocyanins were shown to be able to react with electrophilic compounds through its hydroxyl groups and carbons 6 and 8 of the phloroglucinol ring probably involving the uncharged hemiacetal form. The exist- ence of the 5-OH group is very important for the reactivity of these pigments with other compounds that occur during anthocyanin-rich food processing and aging . Generally, di-, tri-, or poly-acylated anthocyanins are more stable in neutral and slightly acidic conditions than mono-acylatedanthocyanins . It is well known that there is a strong correlation between the colour and the predominant type of anthocyanin Fig. 3. Schematic representation of the main reactive position of anthocyanin structures  that accumulates. A hydroxyl group or rather the lack thereof at the C-3 position in the C-ring also dramatically influences the colour of the pigment. The common anthocya- nidins have 3-hydroxylation. 3-Deoxyanthocyanidins lack this hydroxyl group, and show a marked difference in wavelength absorbance, with the derived pigments giving yellow, orange and bright red flower colours. 3-Deoxyanthocyanins are relatively rare . Furthermore, the glycosylation confers increased stability and water solubility to the anthocyanins compared with the anthocyanidins. Increasing the number of sugar residues seems to further increase stability of the anthocyanin , explained by a net of intra- molecular H-bondings within the sugar moiety and between the sugar and the chro- mophore . 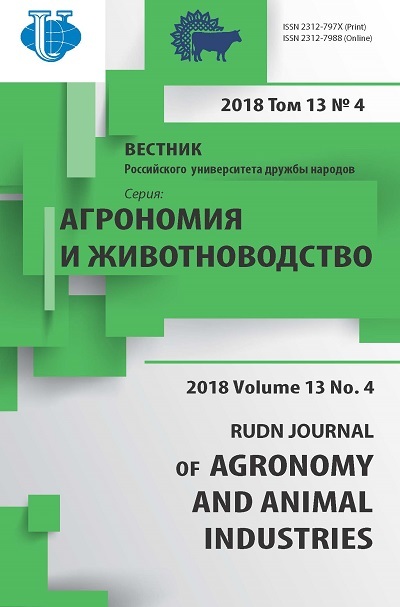 Functional properties of anthocyanins and their applications In view of the considerable consumption of anthocyanin, toxicological as well as mutagenic studies of the pigment have been carried out. Anthocyanin pigments have been shown to have a number of potential health benefits including improved visual acuity, reduction of incidence of coronary heart-disease and stroke, and anticancer and antiviral activities. Therefore, find increasing application in not just the food area but in the medical field as well . In practice, the anthocyanins used as food colorants supply colours going from purplish red to cherry red and can be used at a pH of between 3.5 and 5.5 . The stability of anthocyanin in the lower pH range means that anthocyanins are best suited for use in food of low pH. Successful application of the anthocyanins includes the colouring of canned fruit, fruit syrups, yogurt, and soft drinks . Anthocyanins have the advantage of being relatively insensitive to heat and light. The anthocyanins used in food (E 163) can only be obtained from edible fruits and vegetables such as straw- berries, blackberries, cherries, plums, raspberries, blackcurrants, redcurrants, red cabbage, red onions, bilberries, eggplants, grapes, elderberries, etc. . FACTORS AFFECTING THE STABILITY OF ANTHOCYANINS Considerable studies have been done on the effects of the most important chemical and physical factors involved in the degradation of anthocyanins (temperature, light, pH, SO2, metal, sugar, and oxygen) in model systems and food extracts. Stabilities and colours of anthocyanins are dependent on the nature and number of sugars attached to the flavylium ion and the nature and number of acids linked to the glycosylic moiety. Tint and hue, however, are related to the numbers and positions of hydroxyl and methoxyl substituents in the flavylium ion . Effect of physicochemical parameters Application of anthocyanins in food is restricted due to their ability to participate in a number of reactions, resulting in its decolourisation . Anthocyanins would be the ideal substitutes for synthetic red colorants based on their bright colours varying from orange red to blue, water solubility, and non-toxicity. Nevertheless, the use of these pigments in foods has been hampered by poor stability . Factors influencing anthocyanin stability are diverse and widely discussed in the literature. The influence of the specific structures of anthocyanins (glycosylation, acyla- tion with aliphatic or aromatic acids, pH, temperature, light, presence of metal ions, oxygen and sugar content), and effects of sulfur dioxide have been covered and partially clarified . For that, intense research has been done on stabilisation of anthocyanins and elucidation of the high stability of the colour . pH Anthocyanins are sensitive to changes in pH. When a given anthocyanin is dissolved in water, a series of secondary structures are formed from the flavylium cation according to different acid-base, hydration, and tautomeric reactions . The flavylium cation is the predominant equilibrium form in strongly acidic solutions. In addition, the existence of tautomeric quinonoidal bases derived from the flavylium cation by deprotonation, and hemiacetal and chalcone forms related to the flavylium form by nucleophilic reaction with water, under various pH conditions, have been described . In addition, the anthocyanin colours vary with changes in the pH: at pH 1 and below, the anthocyanin pigment gives an intense red but becomes colourless or purple when the pH is increased to between 4 and 6. Meanwhile, the pigment turns a deep blue when the pH is between 7 and 8. Further increase in pH sees the anthocyanin pigment turning from blue to green and then to yellow. Such variation in colour has been attributed to structural transformation in response to changes in pH , as illustrated in Figure 4. The major species and therefore the colour of the solution are determined by the equilibrium constant values. If the deprotonation equilibrium constant, Ka, is higher than the hydration constant, Kh, the equilibrium is displaced toward the coloured quinonoidal base (A), and if Kh > Ka the equilibrium shifts toward the hemiacetalic or pseudobase form (B) that is in equilibrium with the chalcone species (C), both colorless (Fig. 4). Therefore, the structure of an anthocyanin is strongly dependent on the solution pH, and as a consequence so is its colour stability, which is highly related to the deprotonation and hydration equilibrium reaction constant values (Ka and Kh) . Fig. 4. Chemical reactivity of the anthocyanins depending on the pH Temperature The thermal degradation of anthocyanins, both in extracts and model systems, was reported to follow first-order reaction kinetics in all studies. The stability of anthocyanins and all pigments found in foods decreased with increases in temperature . Studies on the effect of temperature on anthocyanin have indicated that the stability is dependent on the structure of anthocyanin, with the sugar moiety playing a significant role . Monomer anthocyanins and the corresponding colorant intensity decreased with the time-temperature combination, whereas the polymer fraction (brown pigments) exhibited the reverse . Storage stabilities of blood orange juices and concentrates with different total soluble solids concentrations and at different temperatures were investigated under identical conditions. The half-life values of juices and concentrates decreased with increases of °Brix value and temperature . High-temperature short time processing is recommended for maximum anthocyanin retention of foods containing anthocya- nins . Oxygen Anthocyanin content decreased for all atmospheres tested; however, high oxygen caused a higher decrement . Oxygen has a deleterious effect on anthocyanins, and it is known that anthocyanins stored under vacuum, nitrogen or argon atmosphere are more stable than anthocyanins exposed to molecular oxygen . This effect was attributed to the reaction of anthocyanins to inhibit radical activity at high oxygen concentrations, causing depletion of the antioxidant pigments . The oxygen may degrade anthocyanins either directly or indirectly by oxidizing com- pounds, which in turn, may degrade the anthocyanins; this deteriorating effect is most pronounced when both oxygen levels and ascorbic acid concentrations are high . Light The anthocyanins are good absorbers of visible light, thus appearing as coloured substances, responsible for the characteristic orange/red/bluish colours of grapes and berries. This reflects the origin of the term anthocyanin, which is derived from Greek, and means flower and blue. The colour is largely determined by the substitution pattern of the B-ring of the aglycon compared with the pattern of glycosylation of the flavan structure, which to a smaller extent, influences colour formation . Light-induced degradation is dependent on the concentration of molecular oxygen present. The most vigorous anthocyanin loss can be experienced when the pigments are exposed to flo- rescent light . Protection toward light may be achieved by selecting packaging material with proper light barriers in the visible and particularly in the ultraviolet range of the spectrum. Glycosylation, acylation and co-pigmentation of anthocyanins have been reported to improve light stability . Enzyme A number of authors have linked browning of the pericarp to a degradation of antho- cyanins by the action of polyphenol oxidase [1, 18, 19, 25]. Enzymes such as polyphenol oxidase (PPO) and peroxydase (POD) are primarily membrane-bound, whereas antho- cyanins are vacuolar . An enzymatic system capable of degrading cyanidin-3-glucoside in the absence of phenols is present in the skin of sweet cherries; contrarily, the pulp homogenate degraded the anthocyanin only in the presence of phenols. The decoloration was influ- enced by the anthocyanin structure at different pH and by the nature of the quinone obtained by enzymatic oxidation. The anhydrobase appeared to be the form of the anthocyanin most susceptible to oxidation. The degradation occurred according to the oxidation kinetics of the phenol substrate and was inhibited by ascorbic acid, indicating that the quinone's degradation of the anthocyanin occurred by a consecutive- type mechanism . Under certain conditions enzyme preparations may degrade anthocyanins and other pigments present in fruit by hydrolysing glycoside substituents. Hydrolysed anthocyanins in their pure aglycon form are extremely unstable and degrade quickly, losing their colouring properties . Anthocyanin losses also occur due to the action of degrading enzymes (i.e., polyphenol oxidase) that are endogenous to the fruits . Sulfur dioxide (SO2) Sulfur dioxide has been used extensively in the fruit and vegetable industry, chiefly as an inhibitor of microbial growth and of enzymatic and non-enzymatic browning . The sulfonation of flavonoids improved their abilities to complex with anthocyanins, hindering the hydration reaction and shifting the equilibria toward the coloured quinonoidal base . Anthocyanins react with sulfur dioxide to form colourless components. The reaction is reversible, and heating will release some of the sulfur dioxide from the anthocyanins, thus partially regenerating the colour. Also, acidifying to a low pH regenerates the antho- cyanins by liberation of the SO2 . The presence of sulfur dioxide can also lead to a nucleophilic attack on the oxonium ion’s (flavylium cation) C-4 position by the negatively charged bisulfate ion, resulting in colour loss of anthocyanins by a reversible bleaching mechanism, which generally occurs when fruits are treated with 500 to 3000 ppm of SO2 . Effect of concentration At high concentrations, the anthocyanins may associate with themselves. Antho- cyanins are more stable at higher concentrations. The effect of concentration has been shown to be more important than the variation in stability caused by differences in antho- cyanin structure . Impact of water activity (aw) Several studies have shown that anthocyanin stability increases with decreased water content, i.e., decreasing water activity (aw). Dry anthocyanin powders (aw  0.3) are stable for several years when stored in hermetically sealed containers. This property is advantageous when anthocyanins are produced into dry products and powders . 3.2. Effect of food matrix Over the last years, the structure of several groups of anthocyanin-derived pigments found in wines was elucidated by spectroscopic techniques, which have helped to under- stand some physical-chemical properties of anthocyanins. Some of those pigments were described to result from : Reaction between anthocyanins and small compounds (e.g. pyruvic and phenolic acids, acetaldehyde, p-vinylphenol) giving rise to other pyranoanthocyanin pigments: Anthocyanin-pyruvic acid adducts (carboxypyranoanthocyanin); Pyranoanthocyanins (Vitisin B); Pyranoanthocyanin-phenol pigments. Condensation between anthocyanins and flavanols mediated by aldehydes (e.g. acetaldehyde): Anthocyanin-alkyl-flavanol pigments; Pyranoanthocyanin-flavanol pigments; Vinylpyranoanthocyanin-flavanol pigments. Direct condensation between anthocyanins and flavanols. 3.2.1. Co-pigmentation Co-pigmentation is a valuable and natural tool for enhancing and stabilizing the colour of anthocyanin-rich products , by hindering the addition of water at position 2 of the chromophore through hydrogen bonding . Co-pigmentation can take place through several interactions: intermolecular complex formations, intra- molecular complex formations, self-association mechanisms and metal complexation. Co-pigmentation is observed as a bathochromic shift in the visible range towards higher wavelength (increase in intensity of absorbance to the molecule’s max) ; which is also called the bluing effect, since the colour of an anthocyanin changes from red to a more blue hue or as a hyperchromic shift in which the intensity of the anthocyanin colour increases (shift from max to higher wavelengths) . Co-pigmentation involves complexation phenomena, generally at low energy, to the formation of a complex by juxtaposition of the pigment and co-pigment and stabilization by - ring interaction, H-bonding, and ionic bonding , either between the various forms of anthocyanins or between anthocyanins and other, mostly colourless, phenolic compounds (coumarins, phenolic acids, flavonols, flavanols, etc.). These bulky complexes modify the cation resonance and prevent the substitution of carbons 2 and 4 . Co-pigmenting effect of different type of compounds on cyanidin 3,5-diglucoside Table 3 (2  10-3 M, pH 3.31,  max 508 nm)  Compound / Chemical Class max (nm) Δmax (nm) % Absorbance increase at max (nm) Aureusidin/aurone 540 32 327 Brucine/alkaloid 512 4 122 Proline/amino acids 508 0 25 Procatechuic acid/benzoic acid 510 2 23 Esculin/coumarin 514 6 66 Sinapic acid/cinnamic acid 519 11 117 Phloridizin/dihydrochalcone 517 9 101 (+) Catechin/flavan 3-ols 514 6 78 Apigenin 7-glucoside/flavone 517 9 68 6-C-Glucosylgenkwanin (swertsin)/C-glycosil flavones 541 33 467 Hesperidin/flavanone 521 13 119 Quercetin 3-galactoside/flavanols 531 23 282 The magnitude of the co-pigmentation is influenced by pH value, pigment and co-pigment concentrations, chemical structure of anthocyanin, temperature, and ionic strength of the medium. As to the effect of the solvent, the important issue is the hydro- gen-bonded molecular structure of the liquid water, not the polarity of the medium . The best cofactors are typically flavonoid derivatives that contain many hydroxyl groups, the most favourable at position 3 of the flavones. The strongest cofactors have electron-rich systems that associate with electron-poor compounds such as the flavylium cation . Finally, regardless of the cofactor, anthocyanin stabilization during storage via the phenomenon of co-pigmentation was not revealed, as similar degradation ratios were observed in the presence or absence of these co-factors . Intramolecular co-pigmentation The other type of co-pigmentation is intramolecular, which is due to anthocyanin acylation. This co-pigmentation is more effective than intermolecular, and it is suggested that acyl groups interact with the basic anthocyanin structure avoiding formation of the hydrated species . Intramolecular co-pigmentation (sometimes referred to as intramolecular stacking) is a mechanism for stabilising more complex anthocyanins such as those that are poly- acylated with aromatic acids. The tertiary structure is formed by either the sandwiching of the anthocyanin nucleus between two of its acyl groups or by the anthocyanin nucleus being covered by one acyl group . Intramolecular co-pigmentation is thought to be stronger and more effective in stabi- lizing anthocyanin colour, probably due to the strength of the covalent bonds present. This type of co-pigmentation is mostly associated with anthocyanins derived from flowers and vegetables, which generally contain acylation . Intermolecular co-pigmentation The poor stability of anthocyanins with simple structures can be overcome by inter- molecular co-pigmentation reaction , (which contains non-acylated anthocyanins), that is, an association with different compounds that is not bound covalently to the antho- cyanin molecule , especially polyphenolic ones. Stabilized by hydrogen bonding, hydrophobic interactions and electrostatic interactions, resulting in a 1 : 1 complex formation . However, this complex dissociates at high temperatures . Intermolecular co-pigmentation may take place between anthocyanins and catechin, amino acids, polysaccharides and metal ions. Flavonols and flavones are always found in conjunction with anthocyanins in fruits and fruit juices; it appears that they may contribute to the stabilization of the anthocyanins . Self-association Stability of anthocyanins can be attained by self-association, that is, when two or more anthocyanin molecules are associated . Self-association requires high antho- cyanin concentrations. It involves the vertical stacking of anthocyanin molecules, and is deduced to play at least some role in flower colour . This effect was verified by increasing the concentration of the cyanidin 3,5-diglu- coside solution from 10-4 M to 10-2 M with a consequent bathochromic shift in maximum wavelength absorption in the visible region . The colour of malvidin 3-glucoside in aqueous solution can also be stabilized by self-association or co-pigmentation with the cis-chalcone form, according to the pH of the solution . Self-associations of anthocyanins have been observed to take place during wine aging and it is assumed that they may partially contribute to the colour of aged wines (Fig. 5) , the monomeric anthocyanins are irreversibly transformed into polymeric compounds through self-association reactions. The polymeric material is less pH- sensitive and is less susceptible to degradation by ascorbic acid and light . Fig. 5. Self-association of anthocyanins at the C-4 position  3.2.1.3.1. Complexation with metals The precise colour of anthocyanins depends on the substitution pattern, the pH (red in acid, blue in base), but also on the formation of metal complexes ; mainly with Al3+, Fe3+, Cu2+, Mg2+, which form complexes with anthocyanins that have two phenols in the ortho position on the B nucleus (delphinidin, petunidin and cyanidin) (Fig. 6). These are responsible for bathochrome effects of varying intensity. Two types of chelates, either directly with both phenol functions (flavylium A+ form) or with the aromatic ketone in carbon 4ˊ (AO quinoid base), stabilize the molecules and prevent formation of colour- less carbinol base (AOH). The colour becomes intensely blue, even at pH values around 3. These bonds generally break in a strong acid medium . Only cyanidin, delphinidin and petunidin based anthocyanins, which have more than one free hydroxyl group in the B-ring are capable of metal chelation on the aglycon . Fig. 6. Mechanism of formation of the complex anthocyanin-metal  Interaction with Vitamin C The addition of ascorbic acid brought about a notable acceleration in degradation of anthocyanins under model conditions, as in the analyzed matrix . The deteriorating effect is most pronounced when both oxygen levels and ascorbic acid concentrations are high. The reactions are known to be accelerated by copper ions  (Fig. 7). Fig. 7. Suggested mechanism of formation of the complex anthocyanin-metal-ascorbic acid  In general, the effects of ascorbic acid on anthocyanins are complex and not easily predictable. In the absence of oxygen, ascorbic acid may condense with anthocyanins to form unstable products that degrade into colourless compounds. It is assumed that condensation of anthocyanins with flavonols prevents formation of complexes between anthocyanins and ascorbic acid , probably by competition with the anthocyanins in the preference for condensation reactions , so that the deteriorating effect of ascorbic acid is diminished . Ascorbic acid retention and loss of anthocyanin contents in blood orange juices during refrigerated storage were investigated using CIELAB parameters. Concurrent losses of anthocyanins and ascorbic acid were observed, but the rate of reactivity depended on the anthocyanin structure. When no anthocyanin was present, ascorbic acid degraded 100% after 9 days, while in the presence of malvidin 3-glucoside and malvidin 3,5-diglu- coside after 9 days, 15 and 23% of ascorbic acid, respectively, remained. This effect may have been provided by the antioxidant properties attributed to anthocyanins . Redoxpotential From a chemical viewpoint, anthocyanins and in general flavonoids can be con- sidered as fairly reactive compounds. They typically display -electron-rich aromatic nuclei and labile phenolic -OH groups that confer on them a reducing (electron- and hydrogen-donating) character. This property largely underlies the well-known in vitro antioxidant properties of flavonoids, or regenerate endogenous amphiphilic antioxidants (bound to membranes or lipoproteins) such as α-tocopherol. In addition, through their catechol (1,2-dihydroxybenzene) or hydroxyketo groups, flavonoids bind iron and copper ions, whose redox cycling is typically involved in ROS production. A third property of flavonoids especially critical to their biological effects from plants to humans is their affinity for a wide variety of proteins, including enzymes and receptors . Among the common chemical groups, the phenolic nucleus is probably the one that is most prone to developing molecular interactions with proteins. Indeed, the phenolic -OH group is both a hydrogen bond donor and acceptor and the aromatic ring can develop strong dispersion (van der Waals) interactions with non-polar amino-acid residues or polarizable cofactors . Additionally, the keto group frequently found on the C-ring - as well as the glycosyl residues - can also be involved in hydrogen bonding . Interaction with proteins It has long been known that flavonoids can interact with proteins in vitro. On the basis of recent studies it appears that the concept of tertiary structures can be expanded to include complexes formed with or interactions between flavonoid pigments and proteins (Fig. 8). In some species, stable or unstable complexes containing anthocyanins and protein are formed in the vacuole. These are termed anthocyanic vacuolar inclusions (AVIs). Their formation can alter flower colour, but their biological function is not yet known . The redox and binding properties of flavonoids are combined in the process of flavonoid-protein covalent coupling (Fig. 9). In a first step, flavonoids are enzy- matically or chemically oxidized into highly electrophilic ortho-quinones and/or para- quinonemethides. In a second step, nucleophilic thiol or amino groups of the protein side-chains add to these electrophiles and form the covalent bonds . Fig. 8. Interaction between proteins and polyphenols  Fig. 9. Oxidative flavonoid-protein covalent coupling  In summary, the binding of flavonoids to redox-inactive enzymes such as HSA does not necessarily depress their antioxidant activity. In fact, the influence of proteins on the redox properties of flavonoids could well be specific to each flavonoid-protein couple under consideration. Ultimately, the fate of quercetin undergoing oxidation in the presence of HSA could be covalent coupling to HSA as evidenced in the case of oxidation by H2O2 catalysed by horseradish peroxidase . Effect of aldehydes In the intermolecular reactions between anthocyanins and flavonoids mediated by acetaldehyde, new compounds linked by an ethyl bridge are formed. Three new compounds were detected by the reaction of malvidin 3-glucoside and proanthocya- nidin B mediated by acetaldehyde under wine-like conditions. Two were assigned to enantiomers containing malvidin 3-glucoside covalently bonded to proanthocyanidin linked through C-8 by an H-C-CH3 ethyl bridge . A pigment derived from the acetaldehyde-mediated condensation between (+)-catechin and malvidin 3-glucoside was prepared and its properties were compared to those of malvidin 3-glucoside in aqueous solution. With a pH increase from 2.2 to 5.5, the colour of the formed pigment solution shifted toward violet at pH 5.5, whereas similar solutions of malvidin 3-glucoside were almost colourless at pH 4.0. This behaviour indicated that the anthocyanin moiety of the new pigment was more protected against water attack. The new pigment was more stable with regard to bleaching by SO2 than malvidin glycoside, but was more sensitive to degradation in aqueous solution. The cleavage of the bridge linking the anthocyanin to the catechin is the first step in its degradation; malvidin-glycoside is the major product formed . Effect of sugars Sugar solutions also help to stabilize anthocyanins during frozen storage by the inhibition of enzymatic reactions . The effect of added sugar on anthocyanin stability depends on the anthocyanin structure, concentration, and type of sugar. Reducing and non-reducing sugars had destructive effects on the stabilities of anthocyanins from black currants . The influence of sugars on anthocyanin stability remains a controversial subject. Certain authors do not mention any effect with a model solution of commercial antho- cyanidin-based pigments with or without sugar (10 °Brix), whereas anthocyanidin degradation in the presence of sugar is frequently mentioned in the literature . The glycosylation confers increased stability and water solubility to the anthocyanins compared with the anthocyanidins. Increasing the number of sugar residues seems to further increase stability of the anthocyanin . The anthocyanin thermostability was reduced when sucrose concentration increased from 0 to 20%, while further concentration increases to 40% had positive effects on the stabilities of pigments . Fructose, arabinose, lactose and sorbose are more detrimental than glucose, sucrose and maltose, but the degradation of anthocyanins by sugar is enhanced by oxygen . On the other hand, the thermostabilities of pigments decreased linearly with increases of fructose concentration, probably due to the formation of fural- dehydes . Although most anthocyanic extracts showed lower stabilities in sugar- added systems, no statistical analysis was carried out to verify the significance of this difference . Effect of other factors The stability of cyanidin 3-glucosyl-arabinoside was investigated in different solvents, water, and dimethyl sulfoxide (DMSO, an aprotic solvent) under the same conditions. The kobs values unexpectedly showed that the anthocyanin was more stable in water solution. DMSO was chosen as a solvent so that it would make the addition of DMSO to C-2 difficult and thus the anthocyanin would be more stable in DMSO than in a water solution. However, since the experiment took place in acidic solution (pKa > pKh), the preferential addition at C-2 or C-4 of the flavylium ion probably took place by a protonated molecule of DMSO . The degradation kinetics of malvidin 3-glucoside in ethanolic solutions under conditions simulating wine accelerated with the increase of ethanol concentration, probably because the extent of anthocyanin self-association decreased with elevated ethanol concentration . Strawberries and raspberries were submitted to high hydrostatic pressures from 200 to 800 mPa at 18 and 21 C, followed by storage at 4, 20, and 30 °C. The greatest stability of the anthocyanins was observed in raspberries submitted to 200 mPa pressure followed by 800 mPa, both stored at 4 C . Attempts to stabilize anthocyanins by complex inclusion with - and -cyclo- dextrins failed; on the contrary, a discoloration of anthocyanin solutions was observed. Thermodynamic and kinetic investigations demonstrated that inclusion and co-pigmen- tation had opposite effects. In the anthocyanins, the cis-chalcone colorless structure is the best species adapted to inclusion into the β-dextrin cavity, shifting the equilibrium toward colourless forms . ANTHOCYANINS IN SEPARATION TECHNOLOGIES The increasing number of investigation published in this area highlights unyielding interests in the application of microwave, ultrasound and colloid gas aphron technologies in the colour-making process. Therefore, the main objective of this part is to summariz- ing review the current state-of-the-art of the application of microwave, ultrasound and colloid gas aphron to accelerate natural colorant production. Microwave Microwave energy is a non-ionizing electromagnetic radiation with frequencies in the range of 300 MHz to 300 GHz. They lie in the electromagnetic spectrum between infrared waves and radio waves with wavelengths between 0.01 and 1 m. Commercial microwave ovens approved for domestic applications operate at a frequency of 2.45 GHz to avoid interference with telecommunication and cellular phone frequencies [30, 31]. Typical bands approved for industrial, science, medicine and instrumentation (ISMI) applications are 915 MHz and 2.45 GHz, which correspond to wavelengths of 33.5 and cm, respectively. These frequencies were chosen by international agreement to minimize the interference with communication services . In the past 20 years , the microwave oven has become an essential appliance in most kitchens. Faster cooking times and energy savings over conventional cooking methods are the primary benefits. Although the use of microwaves for cooking food is widespread, the application of this technology to the industrial, science, medicine and instrumentation (ISMI) is a relatively new development. The use of microwave energy for processing materials has the poten- tial to offer similar advantages in reduced processing times and energy savings. For this reason, microwave energy is today seeing an exponential increase in acceptance as a technique used to enhance extraction of bioactive compounds. Growing numbers of investigators are adopting microwave extraction as a means to accelerate desorption of high added value compounds from cells and increase their productivity. Microwave heating has gained popularity in green extraction due to its ability to achieve high heating rates, significant reduction in extraction time, more uniform heating, safe handling, ease of operation and low maintenance. Scientists now have access to microwave systems designed for laboratory applications. Advances in microwave technology have allowed the design and development of systems specifically for extraction applications, well beyond what the early investigators envisaged . Energy associated with microwaves is lower than the energy of Brownian motion which is not strong enough to even break chemical bonds as such microwaves cannot induce chemical reactions. The influence of microwave energy on chemical or bio- chemical reactions is both thermal and non-thermal. Within the frequency domain of microwaves and hyper-frequencies (300 MHz - 300 GHz), the corresponding energies are 1.24  10-6 - 1.24 10-3 eV, respectively. These energies are much lower than ionization energies of biological compounds (13,6 eV), of covalent bond energies such as OH (5 eV), hydrogen bonds (2 eV), van der Waals intermolecular interactions (lower than 2 eV) and even lower than the energy associated with Brownian motion at 37 C (2,7.10-3 eV) . Microwaves, as an energy source, produce heat by their interaction with the materials at molecular level without altering the molecular structure. Microwave role in anthocyanins extraction The application of microwave assisted extraction (MAE) technology in bioactive extraction has attracted large interest in the last decade not only as a new non-thermal preservation technology but it offers a number of other useful applications in the food industry improvement of intracellular colorant extraction. The ﬁrst step for analysis and exploitation of colorant constituents is their extraction from the cellular matrix. Efﬁcient extraction methods should maximize anthocyanins recovery with minimal amount of adjuncts and minimal degradation or alteration of its natural state. Currently, anthocyanins/colorant production processes are based on either conventional or recent methods. Commonly used methods are: conventional solvent extraction [36, 37], supercritical heating [38-41], ultrasound [42, 43], microwave [44, 45]. Among these methods, the state of the art in these ﬁelds has shown that microwave radiation could accelerate the extracting process improving anthocyanins compounds extraction. Microwave is attractive because it allows for rapid heating of aqueous samples and presents advantages over conventional extraction techniques, such as improved efficiency, reduced extraction time, lower solvent consumption, higher selectivity toward target molecules and higher level of automation . As shown in Table 4, most of irradiation processes led to a preservation of stability of the anthocyanins. List of microwave assisted extraction studies from the literature on various food anthocyanin components Table 4 Product / anthocyanins Microwave Process Processing conditions Performance References Prunuscerasus var. Marasca Microwave reactor (Milestone Start S Microwave Labsta- tion for Synthesis, Italy) 40 mL of 0.1% HCl in 80% metha- nol, temperature (60 C), time (6- 9 min) and 400 W Lower temperature and shorter time of exposure is more convenient for anthocyanins extraction Elez Garofulić, Dragović-Uzelac, Režek Jambrak, and Jukić (2013) blueberry Advanced Micro- wave Digestion System (Ethos1, Milestone Inc., Italy) 34 mL of ethanol concentration (v/v) of 55.5%, time (7 min) and tempe- rature (47 C) Increase to achieve the highest anthocyanin extraction rate of 73.73% Zheng et al. (2013) grape peel Microwave reactor workstation (Model MAS-II, SINEO Microwave Chemistry Technology Co Ltd., Shanghai, China) 20 mL water acidi- fied 0.79 mol/L citric acid, energy density: 32 W/mL, and time: 50 s. Anthocyanins yield was more sensitive to high energy density and microwave power Y. Li et al. (2012) purple corn (Zea mays L.) Microwave extractor (Model NJL07-3, Jiequan microwave equipment Co., Ltd., Nanjing, China) 20 mL of 1.5 M HCl - 95% etha- nol, time of 19 min, and a microwave power of 555 W The highest total anthocyainins content (185.1 mg/100 g, 98.85%) obtained at short time. MAE was highly efﬁcient and rapid in extracting anthocyanins in comparison with the conven- tional solvent extraction Yang & Zhai (2010) grape skins Microwaves Ethos 1600 microwave extractor (Milestone, Shelton, CT, USA) 25 mL of 40% methanol, time of 5 min, tempera- ture of 100 C and 500 W 12% decreasing of anthocyanins content (100 °C than 75 C with 25 mL volume). Quantify in the samples the com- pounds malvidin 3-coumaroyl- glucoside (cis), malvidin 3-caffe- oylglucoside, petunidin 3-p-cou- maroylglucoside with MAE which do not reach the quantiﬁcation limit using the classical method Liazid et al. (2011) Table 4 (continued) Product / anthocyanins Microwave Process Processing conditions Performance References Sweet cherries A Milestone Micro SYNTH microwave oven (Milestone, Sorisole, Italy) Solvent-free Reduction in extraction time (45 s). Grigoras, Destandau, Zubrzycki, & Elfakir (2012) Rosmarinus officinalis Modiﬁed domestic microwave oven (LG Electronics) 70% ethanol 1% acetic acid, 2 extraction cycles lasting 5 min and 320 W 2 times increase of the antho- cyanis content extracted by microwave compared to ultra- sound method Švarc-Gajić et al. (2013) grape juice Microwave hydro- diffusion and gravity, Milestone EOS-G microwave laboratory oven (Sorisole Bergamo, Italy) 20 min at atmo- spheric pressure and at a power density of 1 W/g without solvent Stability of anthocyanins content during extraction Al Bittar, Périno- Issartier, Dangles, & Chemat (2013) Ultrasound based anthocyanins colorant The number of papers published in the last decades related with this topic has suffered an exponential increase. It was reported that an ultrasonic extraction method could increase the recovery and purity of bioactive compounds extracted from different tissues. Intensification of extraction efficiency using ultrasounds has been attributed to the propagation of ultrasound pressure waves through the solvent and resulting cavitation phenomena. The controlling mechanism of UAE is generally attributed to mechanical, cavitation, and thermal effects which can result in disruption of cell walls, particle size reduction, and enhanced mass transfer across cell membranes. The implosion of cavi- tation bubbles generates micro-turbulence, high-velocity inter-particle collisions and perturbation on particles of the matrix which accelerates the eddy diffusion and internal diffusion . Due to limited “space” for the bubbles to expand, most of the bubbles collapse asymmetrically in the vessels, resulting in significant liquid circulation currents coupled with intense turbulence. Also cavitation on the surface of the source material causes impingement by micro-jets resulting in surface peeling, erosion and particle breakdown [54, 55]. The dominant mechanical effects of ultrasounds are well evident from scanning electron microscopy of the extracted samples as reported for specific cases of basil for extraction of essential oil. It has been reported that micro fractures appeared in the basil tissue after application of ultrasound and the surface morphology of basil tissue changed giving more porous nature . Similar results were obtained for oil extraction from autoclaved almond powder and extraction of gingerols from ginger . Ultrasound, as relatively low-cost, non-hazardous and environmental friendly technology, is commonly utilized in food industry [57, 58]. Studies have been conducted on the use of ultrasound as a simple and rapid extraction method for the anthocyanins colour pigment. The advantages of using over other extraction techniques are higher reproducibility and possibility of simultaneous extraction of several samples, which makes the ultrasonic-assisted extraction an interesting alternative for the analysis of the anthocyanins colour compounds. List of ultrasound assisted extraction studies from the literature on various food anthocyanin components Table 5 Product / anthocyanins Ultrasoun Process Processing conditions Performance References blackberry cultivar “Caˇ canska ˇ Be- strna” Rectangular ultrasonic cleaner bath (Bandelin Sonorex RK 52, BAN- DELON electronic, 35 kHz, 60 W, volume of 1.8 L, internal dimensions: 150 mm  140 mm  100 mm) with a useful Absolute ethanol with 0.01% (v/v) of HCl (solvent-to- solid ratio of 2.5 ml/g of the purée at for 15 min or 30 min at 25 C and 40 C Increase of 5.3-6.3% of anthocy- anins content (15-30 min Increase of anthocyanins content with increasing of temperature from room at 40 C. Increase of the antioxidant activity with sonication time and temperature. Increase of cyanidin content with increasing a sonication and tem- perature Ivanovic et al. (2014) wine lees An ultrasonic bath system (MC300, Elma Hans Schmidbauer GmbH & Co. KG, Singen, Germany) 60 mL of Ethanol 51.5%, 36.3 min at 59.9 C High stability of total anthocyanins, monomeric anthocyanins and poly- meric anthocyanins at 4 C. Less stability of total anthocyanins, monomeric anthocyanins and polymeric anthocyanins at 20 C Tao et al. (2014) jussara pulp (Euterpe edulis) Ultrasonic cleaning bath (USC-2800-A model, Thorton, São Paulo, Brazil) Different ethanol concentrations (0, 30, 50, 70 and 90) and adjust to a pH of 3.0 with 0.35%. Citric acid (w/v), temperature (25, 35, 45 and 55) and ratio liq/sol of 5, 10, 15, 20, 25 and 30 Increase of anthocyanins from 7.12 to 15.72 mg anthocyanin/g dry pulp with time increasing (5 to 20min). Increase of the antioxidant activities (FRAP and DPPH). Use of a 30-70% (v/v) ethanol solution promoted the biggest anthocyanin yields. The anthocyanins are not sensitive to heat tested 15 mL/g pulp is the best for anthocyanins extraction Vieira, Cavalcanti, Meireles, & Hubinger (2013) Aronia mela- nocarpa (black choke- berry) wastes Ultrasounds generator (SinapTec, France) Ethanol-water (25-50%), ratio liquid-to-solid (40 : 1), Tempera- ture at 20, 45 and 70 °C, frequency of 30.8 kHz and power of 50 or 100 W and time of 5, 10, 15, 25, 45, 60, 120, 180 and 240 min Increase of extraction yields using 50% ethanol were about 3-fold higher than aqueous extractions. Anthocyanins are not stable at high temperatures. Decrease of the anthocyanins at 20 C. Yields of 90% of the extractable anthocyanins under 70 C, 34% ethanol, 17 min and 100 W Galván D’Alessandr o, Dimitrov, Vauchel, & Nikov red raspberry puree A 400 W capacity batch sonication system (Bran- son Soniﬁer, S-450A, Danbury, CT) with a 7 cm vibrating titanium tip with the probe immersed half way in the liquid. Custom-made ultra- sound generator (APC-841, American Piezo Ceramics, Mackeyville, PA) 50% output power, 20 kHz, time of 0, 10, 20, 30 min. 490 and 986 kHz, time of 0, 10, 20, 30 min 12.6% at 20 kHz increase. Maximum increase of anthocyanins yield (40 °C, 20 min). Time saving of ultrasound methods compared to conventional tech- niques. 6.7% at 490 kHz after 10 min soni- cation increase Golmoha- madi et al. (2013) Delonixregia tree flowers PEX 3 Soniﬁer (R.E.U.S., Contes, France) Water-sulphuric (0.01 N), acid, wa- ter-citric acid (0.01 N) or metha- nol-water acidiﬁed with HCl, ratio liquid- to-solid (100 : 1), for 1 h and power of 150 W More stability of total anthocyanins in citric acidiﬁed-water than sulphuric acid-water. More stability of anthocyanins in water acidified than less polar solvent (methanol) Adjé et al. (2010) Table 5 (continued) Product / anthocyanins Ultrasoun Process Processing conditions Performance References Red grape juice A 1500 W ultrasonic processor (VC 1500, Sonics and Materials Inc., Newtown, USA) 80 mL water at 32 to 45 C, Amplitude level (24.4-61 µm), time (2-10 min) and pulse durations of 5 s on and 5 s off Stability of cyanidin-3-O-glucosides (97.5%), malvanidin-3-O-glucosides (48.2%) and delphinidin-3-O-glucosi- des (80.9%) during sonication. Signiﬁcant effects of sonication colour values and colour index (CI) Tiwari, Patras, Brunton, Cullen, & O’Donnell (2010) Jabuticaba (Myrciaria cauliflora) skins ultrasonicator bath 40 kHz (81 W) (model T 1440, Thornton, São Paulo, Brazil) 10 mL ethanol 99.5% at room temperature for 2 hours Ultrasound method resulted higher extraction efficiency than agitated bed technique and soxhlet Veggi, Santos, & Meireles (2011) Canna indica The ultrasound chamber 50 ml 0.1% HCl Efficiency of ultrasonication method Srivastava ﬂower (35 kHz, JULABO, (v/v) in methanol to extracting the anthocyanins. & Vankar USR3) for 2 h at room Stability of total anthocyanins content. (2010) temperature Increase of the antioxidant activity fruit pulp of Euterpe edulis Unique 1400A ultrasonic bath (Unique, São Paulo, Brazil) Methanol/1.5 M HCl, solid to liquid ratio (1 : 30) and (1 : 50) and extrac- tion time of 24 h Stability of total anthocyanins extracted during ultrasonication Borges, Vieira, Copetti, Gonzaga, & Fett (2011) Nephelium lappaceum L. fruit peel Ultrasonic bath (Power sonic, Korea) equipped with digital sonication power, time and tem- perature controller with a useful volume of 10 L (internal dimensions: 30 · 24 · 15 cm) Water 18.6 : 1 mL/g, 50 C, ultrasound power of 20 W, time of 20 min Stability of anthocyanins content (30 to 50 C). Increase of anthocyanins with solvent-to-solid ratio from 1 : 10 to 1 : 20 (g/ml). Adequacy of ultrasonication method for anthocyanins extraction Prakash Maran, Manikandan, Vigna Nivetha, & Dinesh Grapes Ultrasonic UP200S soniﬁer (200W, 24 kHz) (Hielscher Ultrasonics, Teltow, Germany) Water-ethanol acidified (50 : 50) (HCl, pH: 2.0), (0- 75 C), output am- plitude (20, 50 and 100%), duty cycle (0.2 s, 0.6 s and 1 s), the quantity of sample (0.5-2 g) and the extraction time (3-15 min) High recovery of anthocyanins obtained with ultrasound at 6 min. Anthocyanins more sensitive to ultrasonication time. Increase and high stability of antho- cyanins 10 C. Decrease of anthocyanins at 30- 40 C Carrera, Ruiz-Rodrí- guez, Palma, & Barroso (2012) Garcinia indica UP 200S from Dr. Hielscher GmbH (Teltow, Germany) Water-to-powder ratio 10 (v/g), 35 min, cycle ranging from 0.44 to 0.48 s-1, amplitude from 10 to 14% Stability of total anthocyanins. Increase of antioxidant activity with ultrasound irradiation Nayak & Rastogi (2013) Micellar effect (Colloidal Gaz Aphron) In these last years, considerable interest in replacing synthetic colorants with natural pigments as like anthocyanins has developed, nevertheless the main problem related to their utilisation is the very low stability in aqueous media at pH values above 2.0 [69, 70]. Nowadays, only a few researches have been made to verify the ability of micellar systems to stabilise anthocyanins compounds. Micellar solutions are widely used as host systems for synthetic and natural organic compounds and basically three differently charged surfactants can be used to produce micelles, anionic, cationic and non-ionic. The outer surface of the micro bubble may be positively charged, negatively charged or neutral, to which oppositely charged or non-charged molecules will adsorb, resulting in their effective separation from the bulk liquid, and consequently the selectivity of adsorption can be controlled . The use of surfactant-based methods for the treatment of aqueous streams and solid matrices to remove organic and inorganic contaminants, and for the recovery of natural pigment products, are promising new areas of great environmental and technological importance. In particular, colloidal gas aphrons (CGA) are surfactant-stabilized microbubbles (10-100 μm) generated by intense stirring of a surfactant solution at high speeds (> 8.000 rpm). They were firstly postulated by Sebba (1987) to consist of a microbubble encapsulated in a thin aqueous film (“soapy shell”). CGA have been used for many separation processes of bio-products such as protein, enzyme, carotenoids and dyes recovery . The most striking feature of CGA is their stability, which lets them generated externally to their point of use, and then to be transported by pumping. Generally, the stability of aqueous foam is determined by two different phenomena: the rate at which liquid drains from foam, and the rate at which the body of the foam breaks down. In the case of CGA, there is no perceptible breakdown of the microbubble until the great majority of the liquid has drained. Spigno et al. (2010), first put forward a recovery of gallic acid with colloidal gas aphrons generated from a cationic surfactant to explain the possibility of CGA to separate the gallic acid from aqueous solution . Dahmounea et al. (2013) demonstrated that an equilibrium colour stabilization of extract rich in anthocyanins occurred in micellar solution of non-ionic surfactant Tween 20 . It was hypothesized that the presence a surfactant could increase the stability of natural pigment (anthocyanins) (Fig. 10). Further research is also required to get an insight into the type and stability of the molecular association between the phenolic compounds and the surfactants. Fig. 10. Picture of agglomerates formed in the aphron phase recovered from the separation trials carried out with undiluted extract  SUMMARY Anthocyanins are the most noticeable group among coloured flavonoids, widely existing in the roots, stems and leaves as well as ﬂowers and fruits of the vascular plants. They have a high potential for use as natural colorants instead of synthetic pigments because of their attractive colour and pharmacological properties. Considerable studies have been done on the effects of the most important chemical and physical factors involved in the stability of anthocyanins (temperature, light, pH, SO2, metal, sugar, ascorbic acid and oxygen), their concentrations, chemical structures, and matrix food compositions. Furthermore, the effects of separation technologies including microwave/ ultrasound assisted extraction (MAE, UAE), and Colloidal GazAphron (CGA) fractiona- tion on the stability of anthocyanins are reviewed. Pifferi PG, Cultrera R. Enzymatic degradation of anthocyanins: the role of sweet cherry polyphenol oxidase. Journal of Food Science. 1974; 39(4):786-791. Available from: doi: 10.1111/j.1365-2621.1974.tb17980.x. Rustioni L, Di Meo F, Guillaume M., Failla O, Trouillas P. Tuning color variation in grape anthocyanins at the molecular scale. Food Chemistry. 2013; 141(4):4349-4357. Available from: doi: 10.1016/j.foodchem.2013.07.006. Sari P, Wijaya CH, Sajuthi D, Supratman U. Colour properties, stability, and free radical scavenging activity of jambolan (Syzygium cumini) fruit anthocyanins in a beverage model system: Natural and copigmented anthocyanins. Food Chemistry. (2012); 132(4):1908-1914. Available from: doi: 10.1016/j.foodchem.2011.12.025. Simões C, Brasil CHB, da Silva Cordeiro L, de Castro TC, Coutada LCM, da Silva AJR, Albarello N, Mansur E. Anthocyanin production in callus cultures of Cleome rosea: Modulation by culture conditions and characterization of pigments by means of HPLC- DAD/ESIMS. Plant Physiology and Biochemistry. 2009; 47(10):895-903. Available from: doi: 10.1016/j.plaphy.2009.06.005. Reque PM, Steffens RS, Jablonski A, Flôres SH, Rios ADO, de Jong EV. Cold storage of blueberry (Vaccinium spp.) fruits and juice: Anthocyanin stability and antioxidant activity. Journal of Food Composition and Analysis. 2014; 33(1):111-116. Available from: doi: 10.1016/j.jfca.2013.11.007. Hellström J, Mattila P, Karjalainen R. Stability of anthocyanins in berry juices stored at different temperatures. Journal of Food Composition and Analysis. 2013; 31(1):12-19. Available from: doi: 10.1016/j.jfca.2013.02.010. Tiwari BK, O'Donnell CP, Cullen PJ. Effect of non thermal processing technologies on the anthocyanin content of fruit juices. Trends in Food Science & Technology. 2009; 20(3-4):137- 145. Available from: doi: 10.1016/j.tifs.2009.01.058. Dahmoune F, Madani K, Jauregi P, De Faveri DM, Spigno G. Fractionation of a red grape marc extract by colloidal gas aphrons. Chemical Engineering. 2013; 32. Available from: doi: 10.3303/CET1332318. Wrolstad RE, Durst RW, Lee J. Tracking color and pigment changes in anthocyanin products. Trends in Food Science & Technology. 2005; 16(9): 423-428. Available from: doi: 10.1016/j.tifs.2005.03.019. Soliva-Fortuny R, Balasa A, Knorr D, Martin-Belloso O. Effects of pulsed electric fields on bioactive compounds in foods: a review. Trends in Food Science & Technology. 2009; 20(11-12):544-556. Available from: doi: 10.1016/j.tifs.2009.07.003. Zhang HF, Yang XH, Wang Y. Microwave assisted extraction of secondary metabolites from plants: Current status and future directions. Trends in Food Science & Technology. 2011; 22(12):672-688. Available from: doi: 10.1016/j.tifs.2011.07.003. Van Duynhoven JPM, Van Velzen EJJ, Westerhuis JA, Foltz M, Jacobs DM, Smilde AK. Nutrikinetics: Concept, technologies, applications, perspectives. Trends in Food Science & Technology. 2012; 26(1):4-13. Available from: doi: 10.1016/j.tifs.2012.01.004. Andersen ØM, Jordheim M. The anthocyanins. In: Andersen ØM, Markham KR. (eds.) Chemistry, biochemistry and applications. 2nd ed. Boca Raton, FL: CRC Press; 2006. p. 452-471. Chandrapala J, Oliver C, Kentish S, Ashokkumar M. Ultrasonics in food processing - Food quality assurance and food safety. Trends in Food Science & Technology. 2012; 26(2):88-98. Available from: doi: 10.1016/j.tifs.2012.01.010. Huang HW, Hsu CP, Yang BB, Wang CY. Advances in the extraction of natural ingredients by high pressure extraction technology. Trends in Food Science & Technology. 2013; 33(1):54- 62. Available from: doi: 10.1016/j.tifs.2013.07.001. Troise AD, Fogliano V. Reactants encapsulation and Maillard reaction. Trends in Food Science & Technology. 2013; 33(1):63-74. Available from: doi: 10.1016/j.tifs.2013.07.002. Mateus N, De Freitas V. Anthocyanins as food colorants. In: Gould K, Davies K, Winefield C. (eds.) Anthocyanins: Biosyntheis, Functions, and Applications. New York: Springer; 2009. p. 238-304. Skrede C, Wrolstad RE. Flavonoids from berries and grapes. In: Shi J, Mazza G, Le Maguer M, and Boca R. (eds.) Functional foods: Biochemical and processing aspects. Boca Raton, Florida: CRC Press; 2002. 2:71-133. Ducamp-Collin MN, Lebrun M, Ramarson H, Self G. Anthocyanins and anthocyanin-degrading enzymes in Kwai May and Wai Chee cultivars of litchis grown in Reunion Island and Spain. Fruits. 2007; 62(6):353-359. Available from: doi: 10.1051/fruits:2007033. Lee YK, Khng HP. Natural color additives. In: Branen AL, Davidson PM, Salminen S, Thorngate III JH. (eds.) Food Science And Technology. New York: Marcel Dekker; 2002. p. 501-522. Linden G, Lorient D. New ingredients in food processing: Biochemistry and agriculture. Boca Raton: CRC Press; 1999. Available from: doi: 10.1201/9781439822760. Brat P, Tourniaire F, Amiot-Carlin MJ. Stability and Analysis of Phenolic Pigments. In: Socaciu C. (ed.) Food Colorants, Chemical and functional properties. USA: Taylor & Francis Group; 2008. p. 71-86. Andersen ØM, Daayf F, Lattanzio V. Recent advances in the field of anthocyanins - Main focus on structures. In: Daayf F, Lattanzio V. (eds.) Recent advances in polyphenol research. Singapore: Blackwell Publishing; 2008. 1:167-201. Gonzalez-Aguilar GA, Ayala-Zavala JF, de la Rosa LA, Alvarez-Parrilla E. Phytochemical changes in the postharvest and minimal processing of fresh fruits and vegetables. In: de la Rosa LA, Alvarez-Parrilla E, Gonzalez-Aguilar GA. (eds.) Fruit and vegetable phytochemicals: chemistry, nutritional value and stability. Singapore: Blackwell Publishing; 2010. p. 309-311. Giusti MM, Wallace TC. Flavonoids as Natural Pigments. In: Bechtold T, Mussak R. (eds.) Handbook of Natural Colorants. Chichester, West Sussex, UK: John Wiley & Sons; 2009. p. 255-275. Ribéreau-Gayon P, Glories Y, Maujean A, Dubourdieu D. Phenolic compounds. In: Ribereau Gayon P, Glories Y, Maujean A, Dubourdieu D. (eds.) Handbook of Enology: The Chemistry of Wine Stabilization and Treatments. Chichester, West Sussex, UK: John Wiley & Sons; 2006. p. 141-203. Vermerris W, Nicholson R. Chemical properties of phenolic compounds. In: Phenolic Compound Biochemistry. Dordrecht, Netherlands: Springer; 2006. p. 35-62. Available from: doi: 10.1007/978-1-4020-5164-7. Belitz HD, Grosch W, Schieberle P. Food chemistry. 4th ed. Germany: Springer Berlin Heidelberg; 2009. doi: 10.1007/978-3-540-69934-7. Dangles O, Dufour C. Flavonoid-protein binding processes and their potential impact on human health. In: Daayf F, Lattanzio V. (eds.) Recent advances in polyphenol research. Oxford, UK: Wiley-Blackwell; 2008. 1:67-87. Leonelli C, Veronesi P, Cravotto G. Microwave-assisted extraction: an introduction to dielectric heating. In: Chemat F, Cravotto G. (eds.) Microwave-assisted extraction for bioactive compounds. Boston, MA: Springer; 2013. p. 1-14. Available from: doi: 10.1007/978-1-4614-. 4830-3_1. Motasemi F, Ani FN. A review on microwave-assisted production of biodiesel. Renew- able and Sustainable Energy Reviews. 2012; 16(7):4719-4733. Available from: doi: 10.1016/j.rser.2012.03.069. Chandrasekaran S, Ramanathan S, Basak T. Microwave food processing - A review. Food Research International. 2013; 52(1):243-261. Available from: doi: 10.1016/j.foodres.2013.02.033. Sonobe T, Hachiya K, Mitani T, Shinohara N, Ohgaki H. Microwave material processing for distributed energy system. In: Yao T. (ed.) Zero-Carbon Energy Kyoto 2011. Tokyo: Springer; 2012. p. 111-117. Available from: doi: 10.1007/978-4-431-54067-0_11. Ballard TS, Mallikarjunan P, Zhou K. Q, O'Keefe S. Microwave-assisted extraction of phenolic antioxidant compounds from peanut skins. Food Chemistry. 2010; 120(4):1185-1192. Available from: doi: 10.1016/j.foodchem.2009.11.063. Gude VG, Patil P, Martinez-Guerra E, Deng S, Nirmalakhandan N. Microwave energy potential for biodiesel production. Sustainable Chemical Processes. 2013; 1(1):5. Available from: doi: 10.1186/2043-7129-1-5. Chandrasekhar J, Madhusudhan MC, Raghavarao KSMS. Extraction of anthocyanins from red cabbage and purification using adsorption. Food and Bioproducts Processing. 2012; 90(4): 615-623. Available from: doi: 10.1016/j.fbp.2012.07.004. Wu XY, Liang LH, Zou Y, Zhao T, Zhao JL, Li F, Yang LQ. Aqueous two-phase extrac- tion, identification and antioxidant activity of anthocyanins from mulberry (Morus atro- purpurea Roxb.). Food Chemistry. 2011; 129(2):443-453. Available from: doi: 10.1016/j.foodchem.2011.04.097. Paula JT, Paviani LC, Foglio MA, Sousa IMO, Cabral FA. Extraction of anthocyanins from Arrabidaea chica in fixed bed using CO2 and CO2/ethanol/water mixtures as solvents. The Journal of Supercritical Fluids. 2013; 81:33-41. Available from: doi: 10.1016/j.supflu.2013.04.009. Paula JT, Paviani LC, Foglio MA, Sousa IMO, Duarte GHB, Jorge MP, Eberlin MN, Cabral FA. Extraction of anthocyanins and luteolin from Arrabidaea chica by sequential extraction in fixed bed using supercritical CO2, ethanol and water as solvents. The Journal of Supercritical Fluids. 2014; 86:100-107. Available from: doi: 10.1016/j.supflu.2013.12.008. Santos DT, Albarelli JQ, Beppu MM, Meireles MAA. Stabilization of anthocyanin extract from jabuticaba skins by encapsulation using supercritical CO2 as solvent. Food Research International. 2013; 50(2):617-624. Available from: doi: 10.1016/j.foodres.2011.04.019. Seabra IJ, Braga MEM, Batista MT, de Sousa HC. Effect of solvent (CO2/ethanol/H2O) on the fractionated enhanced solvent extraction of anthocyanins from elderberry pomace. The Journal of Supercritical Fluids. 2010; 54(2):145-152. Available from: doi: 10.1016/j.supflu.2010.05.001. Adjé F, Lozano YF, Lozano P, Adima A, Chemat F, Gaydou EM. Optimization of anthocyanin, flavonol and phenolic acid extractions from Delonix regia tree flowers using ultrasound-assisted water extraction. Industrial Crops and Products. 2010; 32(3):439-444. Available from: doi: 10.1016/j.indcrop.2010.06.011. Golmohamadi A, Möller G, Powers J, Nindo C. Effect of ultrasound frequency on antioxidant activity, total phenolic and anthocyanin content of red raspberry puree. Ultrasonics Sonochemistry. 2013; 20(5):1316-1323. Available from: doi: 10.1016/j.ultsonch.2013.01.020. Liazid A, Guerrero RF, Cantos E, Palma M, Barroso CG. Microwave assisted extraction of anthocyanins from grape skins. Food Chemistry. 2011; 124(3):1238-1243. Available from: doi: 10.1016/j.foodchem.2010.07.053. Yang Z, Zhai W. Optimization of microwave-assisted extraction of anthocyanins from purple corn (Zea mays L.) cob and identification with HPLC-MS. Innovative Food Science & Emerging Technologies. 2010; 11(3):470-476. Available from: doi: 10.1016/j.ifset.2010.03.003. Dahmoune F, Boulekbache L, Moussi K, Aoun O, Spigno G, Madani K. (2013). Valorization of Citrus limon residues for the recovery of antioxidants: Evaluation and optimization of micro- wave and ultrasound application to solvent extraction. Industrial Crops and Products. 50:77-87. Available from: doi: 10.1016/j.indcrop.2013.07.013. Garofulić IE, Dragović-Uzelac V, Jambrak AR, Jukić M. The effect of microwave assisted extraction on the isolation of anthocyanins and phenolic acids from sour cherry Marasca (Prunus cerasus var. Marasca). Journal of Food Engineering. 2013; 117(4):437-442. Available from: doi: 10.1016/j.jfoodeng.2012.12.043. Zheng X, Xu X, Liu C, Sun Y, Lin Z, Liu H. Extraction characteristics and optimal parameters of anthocyanin from blueberry powder under microwave-assisted extraction conditions. Separation and Purification Technology. 2013; 104:17-25. Available from: doi: 10.1016/j.seppur.2012.11.011. Li Y, Han L, Ma R, Xu X, Zhao C, Wang Z, Chen F, Hu X. Effect of energy density and citric acid concentration on anthocyanins yield and solution temperature of grape peel in microwave- assisted extraction process. Journal of Food Engineering. 2012; 109(2):274-280. Available from: doi: 10.1016/j.jfoodeng.2011.09.021. Grigoras CG, Destandau E, Zubrzycki S, Elfakir C. Sweet cherries anthocyanins: An envi- ronmental friendly extraction and purification method. Separation and Purification Technology. 2012; 100:51-58. Available from: doi: 10.1016/j.seppur.2012.08.032. Švarc-Gajić J, Stojanović Z, Carretero AS, Román DA, Borrás I, Vasiljević I. Development of a microwave-assisted extraction for the analysis of phenolic compounds from Rosmarinus officinalis. Journal of Food Engineering. 2013; 119(3):525-532. Available from: doi: 10.1016/j.jfoodeng.2013.06.030. Al Bittar S, Périno-Issartier S, Dangles O, Chemat F. An innovative grape juice enriched in polyphenols by microwave-assisted extraction. Food Chemistry. 2013; 141(3):3268-3272. Available from: doi: 10.1016/j.foodchem.2013.05.134. Shirsath SR, Sonawane SH, Gogate PR. Intensification of extraction of natural products using ultrasonic irradiations - A review of current status. Chemical Engineering and Processing: Process Intensification. 2012; 53:10-23. Available from: doi: 10.1016/j.cep.2012.01.003. Chandrapala J, Oliver C, Kentish S, Ashokkumar M. Ultrasonics in food processing. Ultrasonics Sonochemistry. 2012; 19(5):975-983. Available from: doi: 10.1016/j.ultsonch.2012.01.010. Paniwnyk L, Cai H, Albu S, Mason TJ, Cole R. The enhancement and scale up of the extraction of anti-oxidants from Rosmarinus officinalis using ultrasound. Ultrasonics Sonochemistry. 2009; 16(2):287-292. Available from: doi: 10.1016/j.ultsonch.2008.06.007. Chemat F, Khan MK. Applications of ultrasound in food technology: processing, preservation and extraction. Ultrasonics Sonochemistry. 2011; 18(4):813-835. Available from: doi: 10.1016/j.ultsonch.2010.11.023. Tao Y, García JF, Sun DW. Advances in wine aging technologies for enhancing wine quality and accelerating wine aging process. Critical Reviews in Food Science and Nutrition. 2013; 54(6):817-835. Available from: doi: 10.1080/10408398.2011.609949. Tao Y, Wu D, Zhang QA, Sun DW. Ultrasound-assisted extraction of phenolics from wine lees: Modeling, optimization and stability of extracts during storage. Ultrasonics Sonochemistry. 2014; 21(2):706-715. Available from: doi: 10.1016/j.ultsonch.2013.09.005. Ivanovic J, Tadic V, Dimitrijevic S, Stamenic M, Petrovic S, Zizovic I. Antioxidant properties of the anthocyanin-containing ultrasonic extract from blackberry cultivar “Čačanska Bestrna”. Industrial Crops and Products. 2014; 53:274-281. Available from: doi: 10.1016/j.indcrop.2013.12.048. Vieira GS, Cavalcanti RN, Meireles MAA, Hubinger MD. Chemical and economic evaluation of natural antioxidant extracts obtained by ultrasound-assisted and agitated bed extraction from jussara pulp (Euterpe edulis). Journal of Food Engineering. 2013; 119(2):196-204. Available from: doi: 10.1016/j.jfoodeng.2013.05.030. D’Alessandro LG, Dimitrov K, Vauchel P, Nikov I. Kinetics of ultrasound assisted extraction of anthocyanins from Aronia melanocarpa (black chokeberry) wastes. Chemical Engineering Research and Design. 2014; 92(10):1818-1826. Available from: doi: 10.1016/j.cherd.2013.11.020. Tiwari BK, Patras A, Brunton N, Cullen PJ, O’Donnell CP. Effect of ultrasound processing on anthocyanins and color of red grape juice. Ultrasonics Sonochemistry. 2010; 17(3):598-604. Available from: doi: 10.1016/j.ultsonch.2009.10.009. Veggi PC, Santos DT, Meireles MAA. Anthocyanin extraction from Jabuticaba (Myrciaria cauliflora) skins by different techniques: economic evaluation. Procedia Food Science. (2011). 1:1725-1731. Available from: doi: 10.1016/j.profoo.2011.09.254. Srivastava J, Vankar PS. Canna indica flower: New source of anthocyanins. Plant Physiology and Biochemistry. 2010; 48(12):1015-1019. Available from: doi: 10.1016/j.plaphy.2010.08.011. Borges GDSC, Vieira FGK., Copetti C, Gonzaga LV, Fett R. Optimization of the extraction of flavanols and anthocyanins from the fruit pulp of Euterpe edulis using the response surface methodology. Food Research International. 2011; 44(3):708-715. Available from: doi: 10.1016/j.foodres.2010.12.025. Maran JP, Manikandan S, Nivetha CV, Dinesh R. Ultrasound assisted extraction of bioactive compounds from Nephelium lappaceum L. fruit peel using central composite face centered response surface design. Arabian Journal of Chemistry. 2017; 10:S1145-S1157. Available from: doi: 10.1016/j.arabjc.2013.02.007. Carrera C, Ruiz-Rodríguez A, Palma M, Barroso CG. Ultrasound assisted extraction of phenolic compounds from grapes. Analytica Chimica Acta. 2012; 732:100-104. Available from: doi: 10.1016/j.aca.2011.11.032. Nayak CA, Rastogi NK. Optimization of solid-liquid extraction of phytochemicals from Garcinia indica Choisy by response surface methodology. Food Research International. 2013; 50(2):550-556. Available from: doi: 10.1016/j.foodres.2011.02.033. Hurtado NH, Morales AL, González-Miret ML, Escudero-Gilete ML, Heredia FJ. Colour, pH stability and antioxidant activity of anthocyanin rutinosides isolated from tamarillo fruit (Solanum betaceum Cav.). Food Chemistry. 2009; 117(1):88-93. Available from: doi: 10.1016/j.foodchem.2009.03.081. Li J, Li XD, Zhang Y, Zheng ZD, Qu ZY, Liu M, Zhu SH, Liu S, Wang M, Qu L. Identification and thermal stability of purple-fleshed sweet potato anthocyanins in aqueous solutions with various pH values and fruit juices. Food Chemistry. 2013; 136(3-4):1429- 1434. Available from: doi: 10.1016/j.foodchem.2012.09.054. Spigno GIORGIA, Dermiki M, Pastori CHIARA, Casanova F, Jauregi P. Recovery of gallic acid with colloidal gas aphrons generated from a cationic surfactant. Separation and Purification Technology. 2010; 71(1):56-62. Available from: doi: 10.1016/j.seppur.2009.11.002. Dermiki M, Gordon MH, Jauregi P. Recovery of astaxanthin using colloidal gas aphrons (CGA): A mechanistic study. Separation and Purification Technology. 2009; 65(1):54-64. Available from: doi: 10.1016/j.seppur.2007.12.023. Leonelli C, Veronesi P, Cravotto G. Microwave-assisted extraction: An introduction to dielectric heating. In: Chemat F, Cravotto G. (eds.) Microwave-assisted Extraction for Bioactive Compounds. Boston, MA: Springer; 2013. p. 1-14. Available from: doi: 10.1007/978-1-4614-4830-3_1. Copyright (c) 2018 Remini H., Dahmoune F., Sahraoui Y., Madani K., Kapranov V.N., Kiselev E.F.